Before entering full time ministry Rev. Nunes was Vice President/CFO of Professional Software Systems, Inc., where she worked for sixteen and half years. Through God’s grace and hard work she was able to establish a successful career in the area of Client Services in that company, and subsequently became a managing partner. During that time she responded to the call to the ordained ministry after a few years of deliberate prayer and discernment. Rev. Nunes received both B.A. and M.A. degrees in Economics from Hunter College (CUNY) where she excelled and graduated with honors. 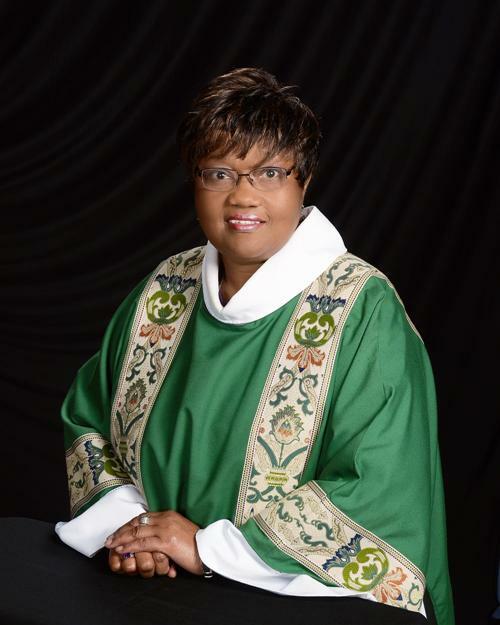 She earned the Master of Divinity Degree with distinction from Union Theological Seminary in May of 2000, and completed her Doctor of Divinity Degree at Hartford Seminary in 2012. She has a daughter, Tiffany Elaine, who is a school teacher in the New York City public school system and a granddaughter, Madison Elaine.